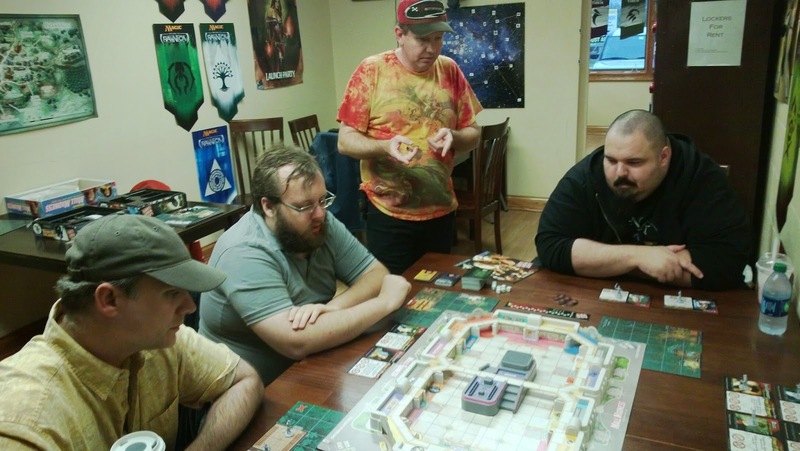 The night before Halloween, our regular group got together to play Last Night on Earth: The Zombie Game (2007) as a way to celebrate the holiday. This is a game that plays best, in my opinion, when there is a frenetic pacing and the players as well as the GM keep things moving and react immediately on their turn. 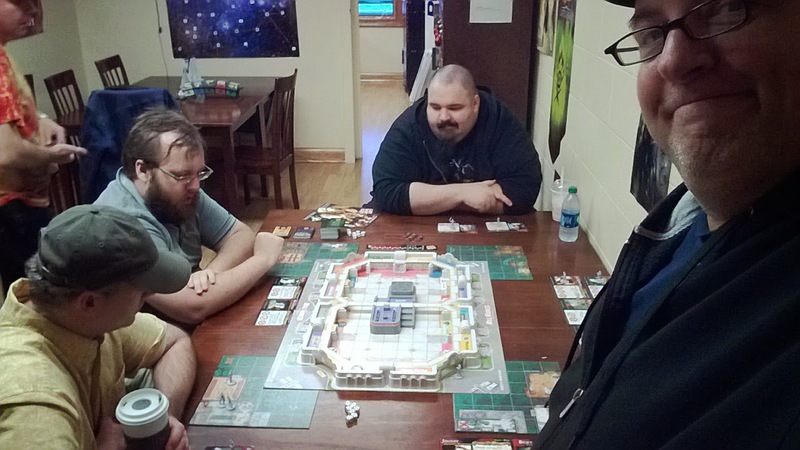 Unlike a wargame or strategy boardgame, part of the excitement of zombie games, and this one in particular, is that tactical mistakes can be made and the overall strategy should be little beyond just trying to survive. Analysis Paralysis can dampen the thematic mood that is built into this game by specific design. Part of the reason we took up this game was so that one of our number could get his sea legs running it prior to doing so for gamedays and conventions. 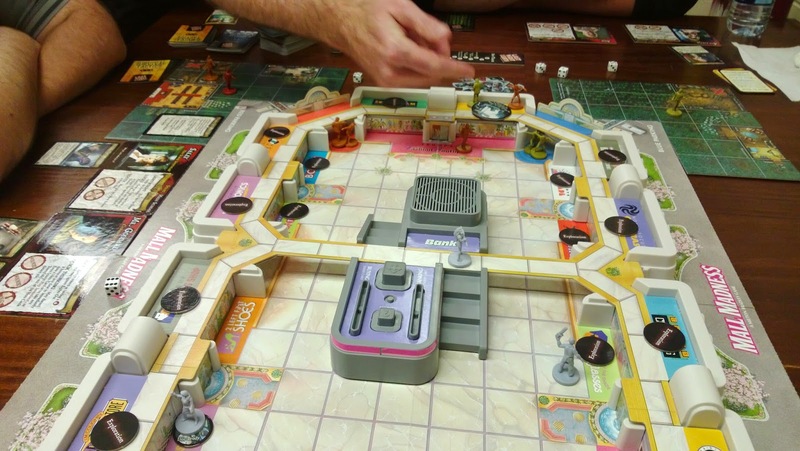 We used a scenario that utilizes the game board from Electronic Mall Madness (1990) and appropriately titled Last Night At The Mall: A Last Night On Earth/Mall Madness variant scenario which can be downloaded through the link at Board Game Geek. 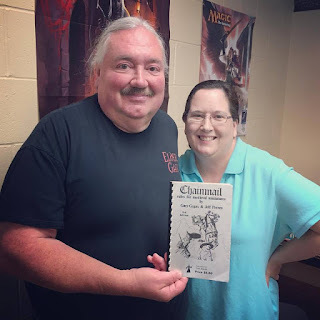 It's fairly straightforward and not much is required for players to learn the game besides an explanation of combat, as most of the rest of what players need to know is on their player card or the cards they draw as equipment and such. I would caution that some players can get bogged down in the text of the cards so it behooves a GM to keep on top of the players, keep them moving, and swiftly explain the effects of a card if a player is stumbling on their wording.